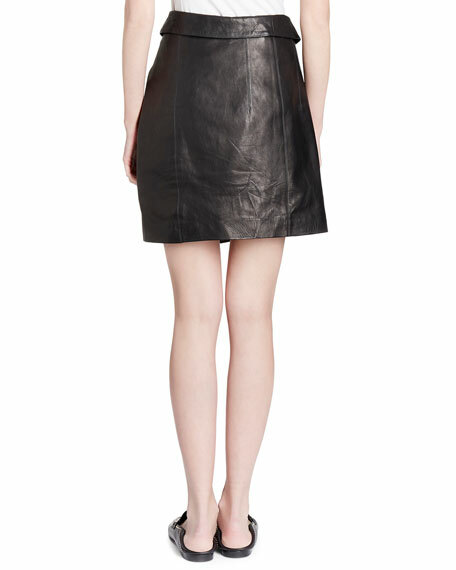 Isabel Marant "Baixa" leather wrap skirt. 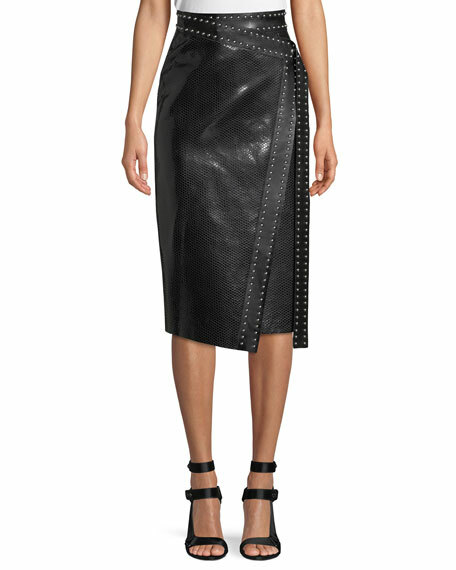 Alexander McQueen python-embossed skirt in lamb leather. Silvertone studs trim on border. Sits at natural waist. Wrap front design. Semi-fitted. Midi length. Made in Italy. 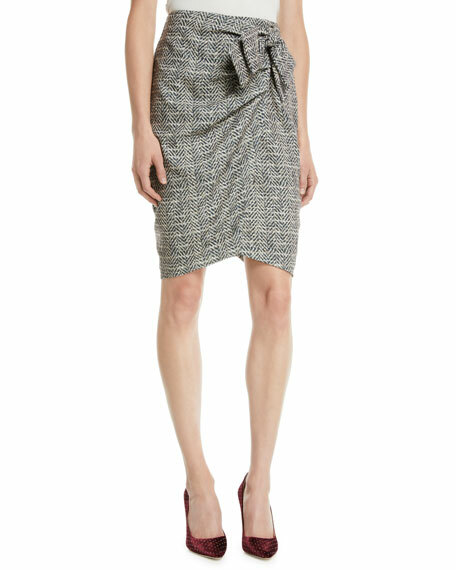 Badgley Mischka Collection wrap skirt in herringbone. Pencil silhouette. Front bow detail. Hidden back zip. Wrap illusion. Knee length. Polyester/spandex. Polyester lining. Dry clean. Imported. Chiara Boni La Petite Robe "Rodeia" coverup skirt. Golden O-ring hook closures. A-line silhouette. Thigh-high split. Maxi length. Nylon/spandex. Made in Italy. 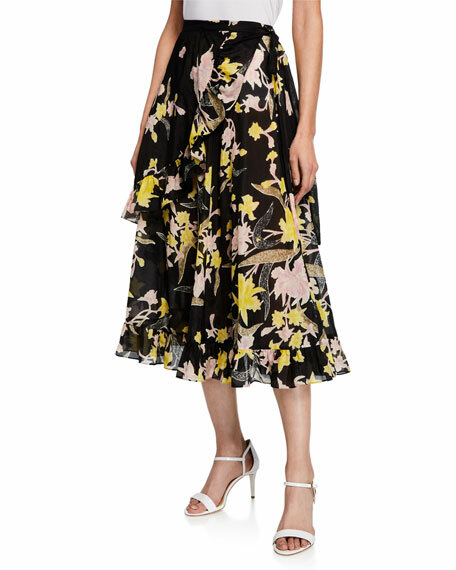 Diane von Furstenberg "Rosalia" floral print skirt. High-rise; self-tie waist. Ruffled, faux-wrap style. A-line silhouette. Flounce hem. Midi length. Cotton/silk. Imported.